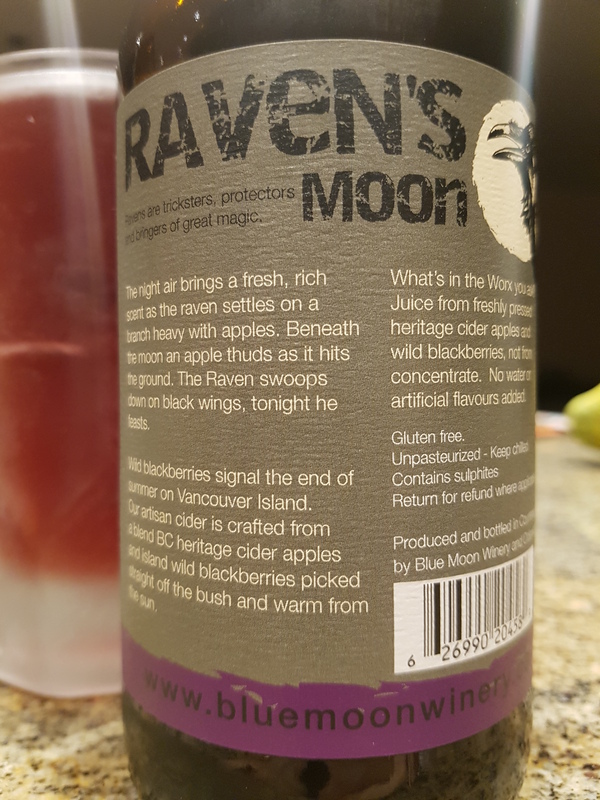 Raven’s Moon Apple Blackberry Cider – Blue Moon Cider Worx (Courtenay, BC, Canada) | Justintoxicated. “The night air brings a fresh, rich scent as the raven settles on a branch heavy with apples. Beneath the moon an apple thuds as it hits the ground. The Raven swoops down on black wings, tonight he feasts. Wild blackberries signal the end of summer on Vancouver Island. Our artisan cider is crafted from a blend of BC heritage cider apples and island wild blackberries picked straight off the bush and warm from the sun. Visual: Pours beet purple with no head, several slow and steady singular streams. 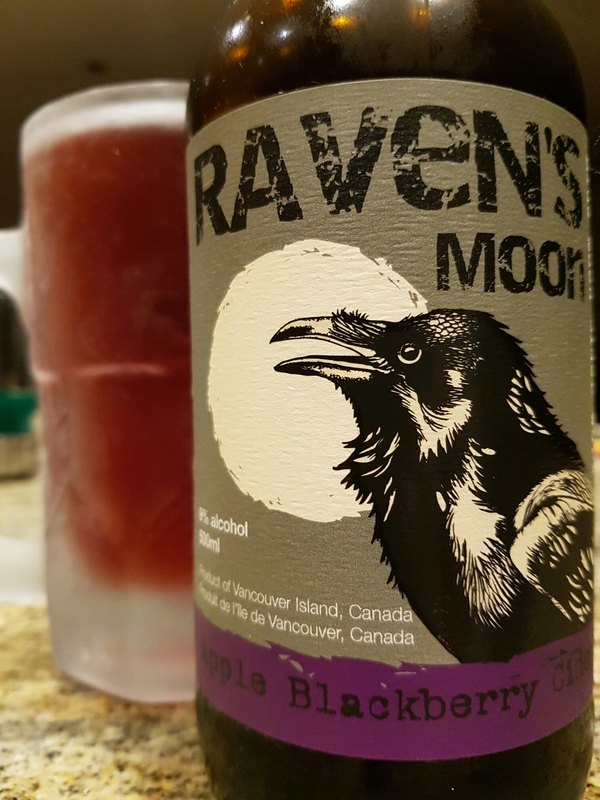 Summary: Huge authentic juicy blackberry flavour with a solid apple backbone. Very nice depth, good balanced textures.